With the snow falling and temperatures dropping outside, sometimes the only thing that can really warm our shivering bodies is cuddling in front of the fire. These smashingly handsome royals are ready to hop the pond in their private jets and make sure we’re all warmed up. Who doesn’t love a man in uniform? Prince Harry, a 29-year-old Brit, is a philanthropist and partier extraordinaire. He spent time in Africa creating a documentary about orphans with AIDS when he was just 18. Now, when he’s not on military duty, Harry can be found spending time with his royal nephew, George, or out enjoying himself around London. Going Steady? As of right now, Harry and girlfriend Cressida Bonas are still going strong, but keep your eyes open just in case the handsome young royal suddenly needs a date to George’s first birthday party. Another uniformed man to join our ranks! Currently residing in New York, sweet 27-year-old Prince Amedeo of Belgium holds down a steady job at Deloitte (hello Business and Finance mentorship! ), while also tending to the obligations that come with standing fourth in line for the throne. With just a short hour and a half flight, Prince Amedeo would have feet on Cleveland soil and, hopefully, Belgian chocolate to boot. Together forever? Whenever asked about a possible significant other, Amedeo avoids the question, so we’re left to guess the Belgian Prince isn’t fancying anyone right now. Look at that smolder! The successful investments of Prince Pierre Casiraghi have paid off and he’s ready to spoil his girl. Involvement in support of African people holds importance to both the 26-year-old prince and his mother, Princess Caroline. When not traveling throughout the African continent, the adorable prince can be found hard at work or just spending time with his sisters and older brother. True Love? Yeah, sorry. 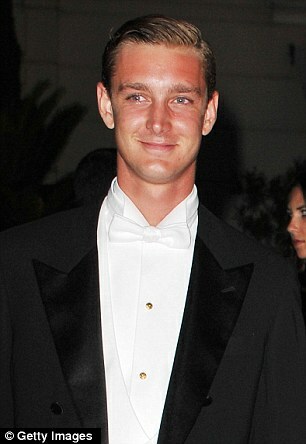 Prince Pierre had been with Beatrice Borromeo since 2008. Tied in a bow and ready to go, this 27-year-old Greek noble is a graduate of Georgetown in our very own USA. Studying foreign relations and always out on the field, Prince Philippos actively participates in both verbal and physical discussions. When not on the book grind, the Prince can be found… well, no one actually knows, as this cutie likes to keep to himself. And he will never actually be king; the monarchy dissolved in 1973. Dating Game? Prince Philippos is as single as the partner to your lost earring, and looking for love.